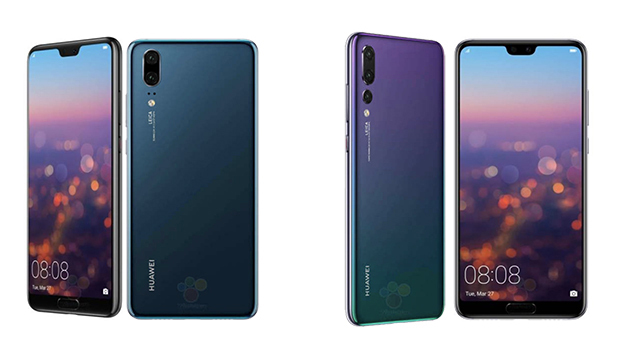 Weeks ahead of its Paris launch scheduled for March 27, Huawei’s upcoming flagship P20 lineup of devices have been revealed completely – well almost. Only last week, leakster Evan Blass shared how all the devices borrow iPhone X’s notch, exposing the aesthetic details of these devices. And now, while another leakster Roland Quandt has let out more details about the devices, the P20 Lite has been uncovered in all its glory after being spotted on two Polish retailers’ websites. 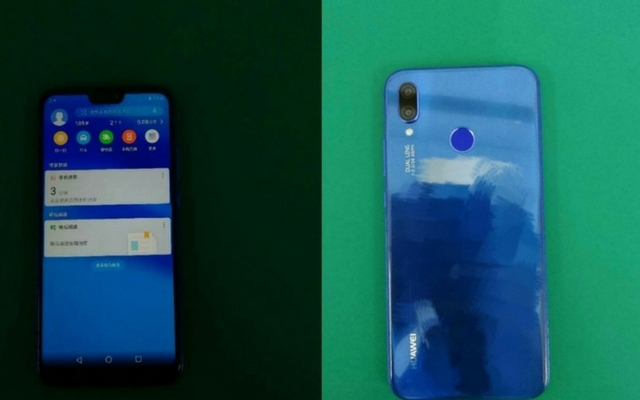 Leaked from images that look like press renders of the devices, the Huawei P20 and P20 Pro appear to be donning a metal body with a matte finish in spectacular tints. The P20 Pro has an iconic color variant – called “Twilight” – and we have not able to make up if we adore it or loathe it. It reminds us somewhat of the Essential Phone’s bright blue variant. The Huawei P20 Pro will be the world’s first smartphone to feature three cameras on the rear and while we aren’t just sure yet, it’s highly likely that the sensors offer a blend of monochrome and telephoto capabilities. Just like the P20, the P20 Pro comes with Leica-branded camera lenses. Quandt’s report also suggests that the P20 will come with a 3,400mAh battery where the P20 Pro will receive a bigger 4,000mAh battery. Both the P20 and P20 Pro might follow Huawei’s recently launched Mate 10 flagship series and might omit the headphone jack and microSD card slots. 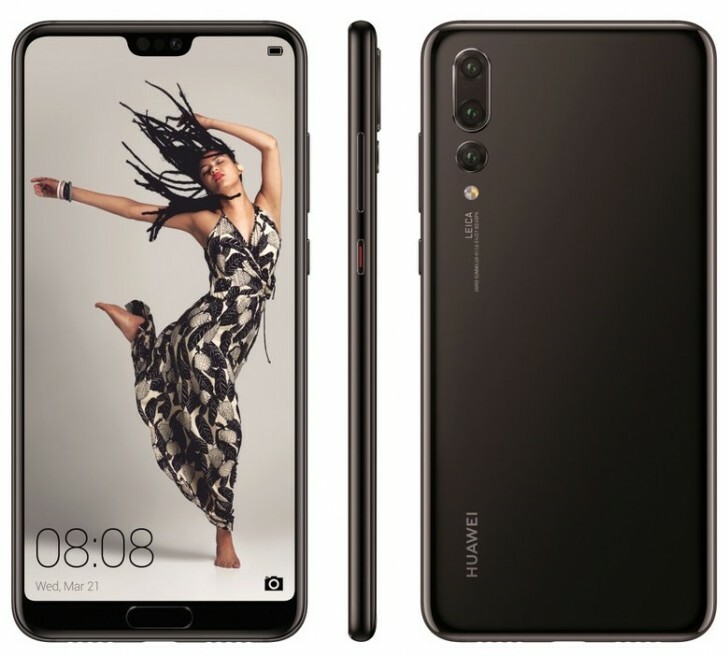 The Huawei P20 Lite was recently listed on European websites – RTV Euro and X-Kom – as available for pre-order. The listing pages of the device on the e-commerce websites confirmed that it will be powered by a Kirin 659 Soc paired with a 4GB RAM. It will feature 5.84-inch display – yes with the notch – with a resolution of Full HD+ (2280x1080p). The P20 Lite will run on Android 8.0 out-of-the-box. The P20 Lite will pack in a 64GB storage along with a slot for expansion up to 256GB. It will feature a 16MP+2MP dual camera setup on the back and an 8MP shooter on the front. It is also likely that Huawei will rebrand the P20 Lite under Honor for markets like India and China. The smartphone will boast of feature like face recognition while the 3,000mAh battery will support Huawei’s proprietary SuperCharge technology. As per P20 Lite’s listing on the websites, it will cost PLN 1,599 (about 380 Euro / $470). Meanwhile, the prices of the P20 and P20 Pro have also been tipped by Quandt to be Euro 680 (~$840) and 900 (~$1110), respectively. It is clear that with this pricing, Huawei’s targetting iPhone X’s swanky users but we will have to wait until March 27 to know how justified is this pricing.